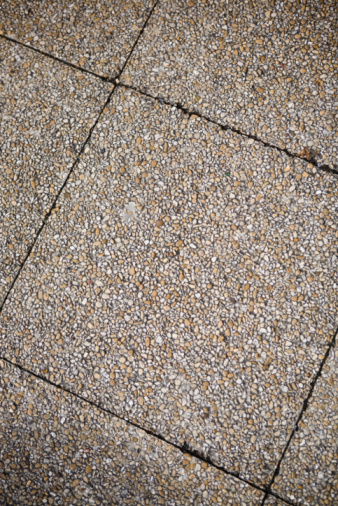 Mix mortar for laying flagstones, flooring, bricks and tiles. 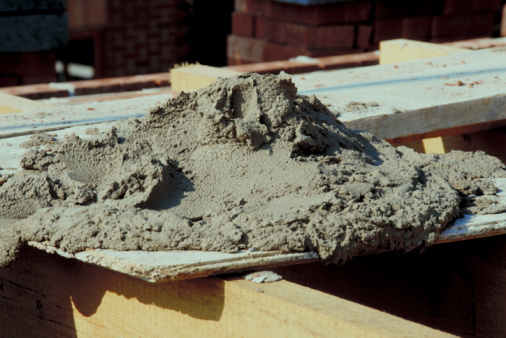 Use a ratio of 3 parts sand to 1.5 parts cement. Adding hydrated lime to the mixture will reduce shrinkage cracks. It will also make the mortar more waterproof. If you add lime, the mixture will be 15 gallons of sand, 6.38 gallons of cement and 1.12 gallons of lime. Mix the ingredients together before adding water. Mix concrete by using 1 part cement to 2.5 parts sand. Add 0.5 part water and the appropriate amount of wet aggregate. The amount of aggregate will vary according to its size. See the table in the resources section which indicates the amount of aggregate you will need to add to your concrete mixture.